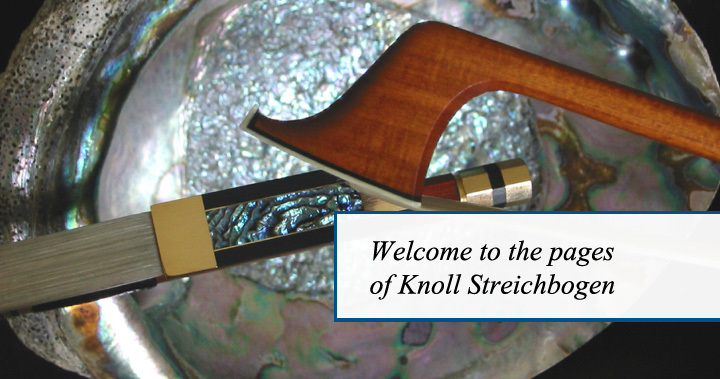 Fine German bows for stringed instruments are made here. Brazilian woods, precious metals and high quality natural materials such as mother of pearl, or horse hair are processed in our own workshop by experienced hands. Respectful treatment of these rare natural resources is paramount. For example, we support the sustainable use of the pernambuco tree through membership in the IPCI. 500,000 trees are planted in Brazil to ensure a good future of the bow maker craft. Find out more about us and our wide assortment ranging from good student bows to the master bow fit for the highest standards.